It's no exaggeration to say Marcel Worldwide's Inglorious Fruits & Vegetables campaign was an instant hit – garnering widespread press coverage, and roundly praised for its stance against wasted food. It reached 13 million people in its home country of France, and helped boost Intermarché's store traffic by 24%. The images of charmingly disfigured and deformed carrots, aubergines and apples also helped top up the company's sales of fruit and veg by 10%. Marcel Worldwide were given a simple brief to work with – to help Intermarché do something around the European year against food waste. The agency spent “days and nights” refining the right art direction and copywriting, opting for direct language and simple imagery to get the message across. 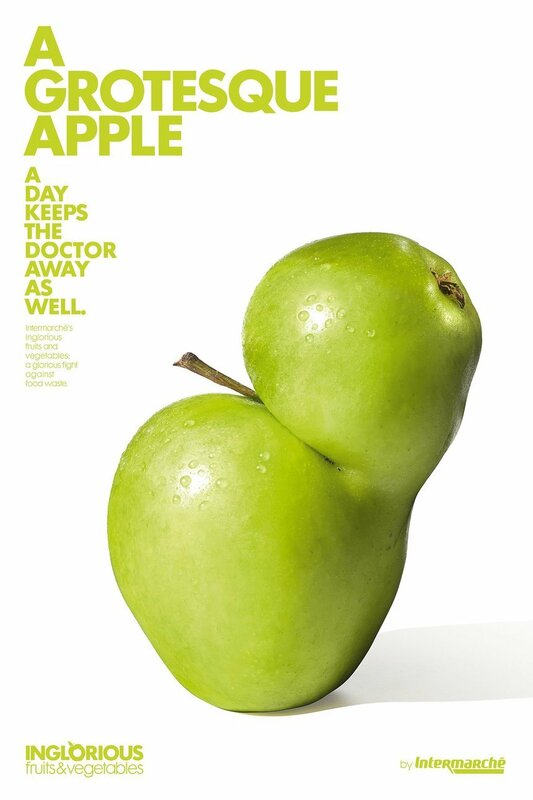 Clever copywriting turned Frankenstein fruit into the stars of the show, with The Failed Lemon, A Grotesque Apple, and all their equally unusual looking companions, cast as the lead characters in the campaign. “This was our choice: simple, beautiful, eye-catching,” adds du Peloux. “Direct copywriting with no artificial art direction to keep the purity of the idea, and keep it strong.” Finding the right fruits and veg to take this role was essential, and Marcel Worldwide hunted down the “most beautiful ugly” and “expressive” examples – including a two-pronged carrot, a knobbly potato, and a conjoined apple. All of these less conventionally appealing produce are usually thrown away by growers, but Intermarché instead bought them and sold them to customers with a 30% discount – an idea that proved so popular the fruit and veg sold out fast.